Designed Today for a screen near you, Blank Space, lets you blend your environment by adding objects from your library or a friends scene, into one seamless app. Its extensive array of collaboration options will impress even the most elaborate designers. The app goes beyond basic design tools, like image placing and file sharing, to be able to view and collaborate on your friends designs. You can also leverage off of your own 3D models to place it in your own scene. Blank Space, also has 3D model collaboration. 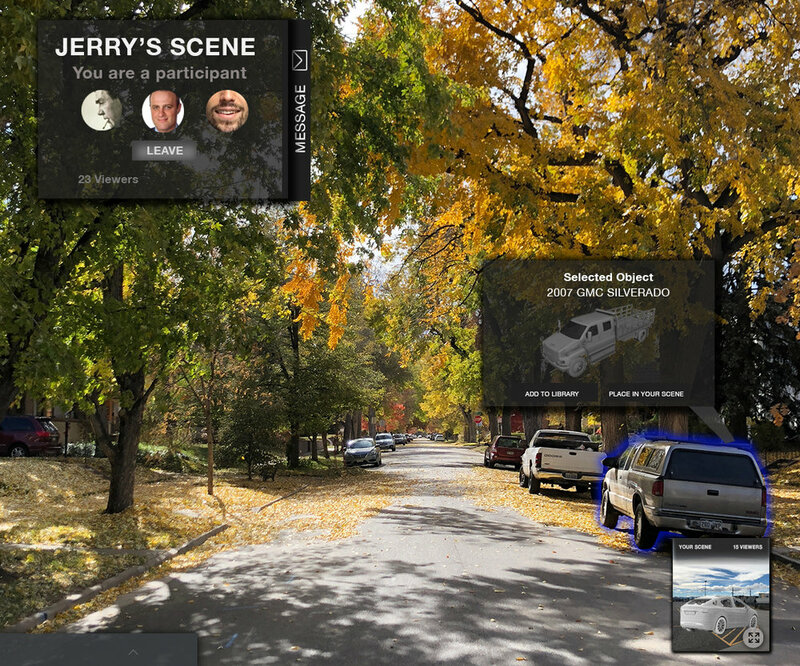 The app allows you to leverage image recognition technology to take any object from another user’s scene and place it in your own. You can also edit the objects, and add additional pieces from your own library. For example, say you’re trying to re-design your living room and you know your friend, Brian, has amazing taste. 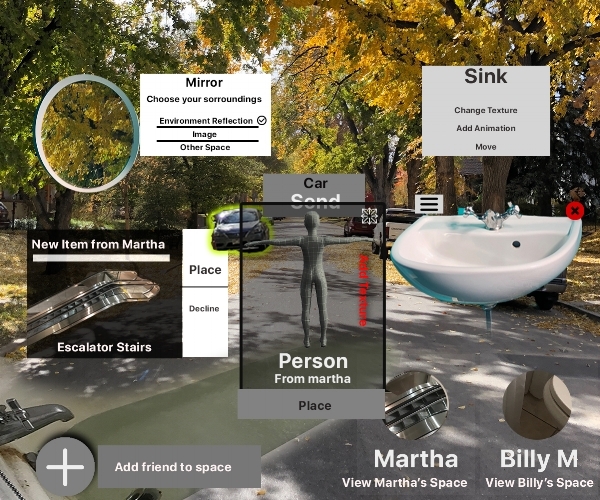 After adding Brian as a participant, you could then import his designs by adding objects that he shares or from his current scenes. When you get to the part of the design where you are satisfied with your items, just tap an item on the top left of the product. A bubble will pop up where you can purchase the item in the moment. Tap it and consider your room complete! It’s 9:30, I am going to spend the next 2 hours doing research, so at 11:30 I’m going to cut myself off and start working on the designs. 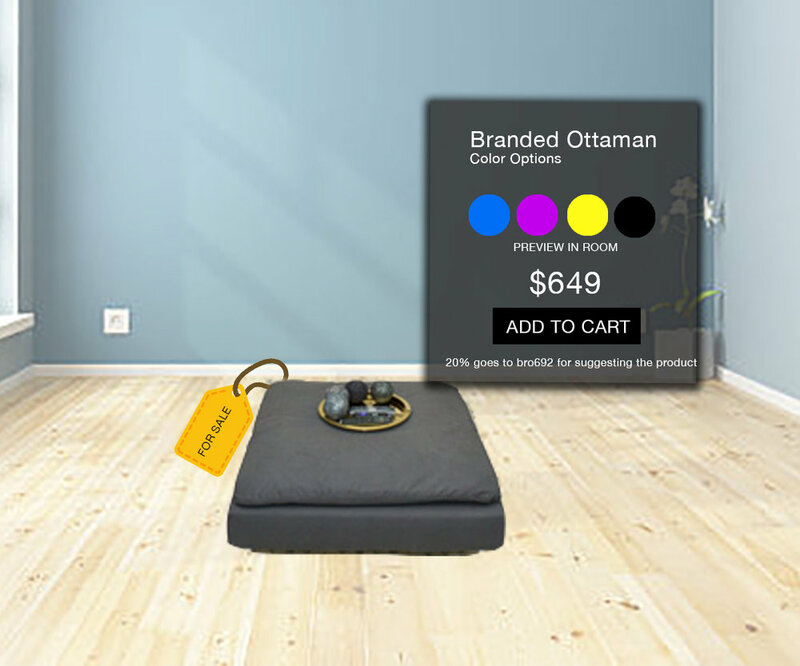 Todays App will an Augmented Reality experience allowing to users to share items of their environment with each other. Added level of collaboration between users and an item library. Now users are able to view your scene or send you items from their scene directly. The app uses image recognition to identify the model sent and sources a 3D scan of that object to place in the scene. Specific items can be sponsored. Focusing on the participant view, where you can grab objects from the another users screen and at it to your library or scene.